The term 'home improvement' goes well beyond the use of your hammer and nails. 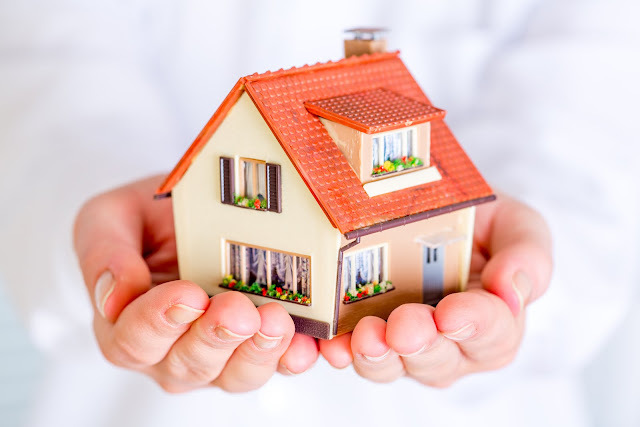 The purpose of home improvement jobs around the home is to save you money. Instead of taking on the project of adding a new wing to your home, why not address the things that will make your home run more efficiently? Listed below are a view examples of simple money saving projects you can complete relatively quickly with a low out-of-pocket expense. When was the last time, if ever, that you reviewed your household utility, cable and cell phone bills? It's important to take the time to make sure you're not paying for items and services you don't have. like an extra phone or a cable box or package you didn't ask for. I can't tell you how many times I've caught an error on my cable bill. CHECK THEM REGULARLY. Also, is it time for a new bundle or package? Take advantage of the competitive markets and the deregulation of electricity. Contact electricity providers, cable providers, and cell phone providers to compare fees and rates. Doing this alone could end up saving you more than a hundred a month. Seriously. Technology is a part of nearly everyone's life. Because of this, most homes have several computers, printers, gaming systems, home theaters, VCRs, DVD players, shredders, televisions and cable boxes.If you leave all of those devices running constantly, it's costing you a lot of money. In rooms where you have several electronic devices in the same area like the living room or home office, adding a power strip with 3, 4, 5 or 6 outlets allows you to turn everything off at night with one simple flip of the switch. This puts an end to your wasted wattage and money. In addition to the power strip, get into the habit of unplugging items at night or when not in use. Things like a can opener, coffee maker, toaster, and phone charger are still costing you money even without using the appliance or device. Whether it's the first frost or hot summer day, leaks in your home will cost you BIG TIME! 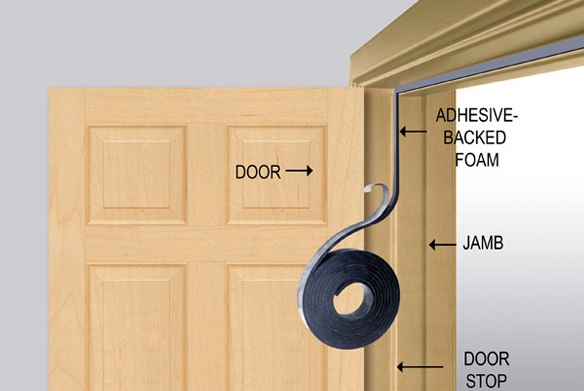 Check for leaks in windows and doors for any holes that will cause a draft in your home.After you do a thorough check of the windows, doors, floors and outlets it's time to start patching up openings with weather-stripping, caulk, and plastic. Doing these few simple things will help to reduce your overhead and create a comfortable indoor environment. This will also keep tiny pests out that use cracks as a passage to destroying your home and sanity. 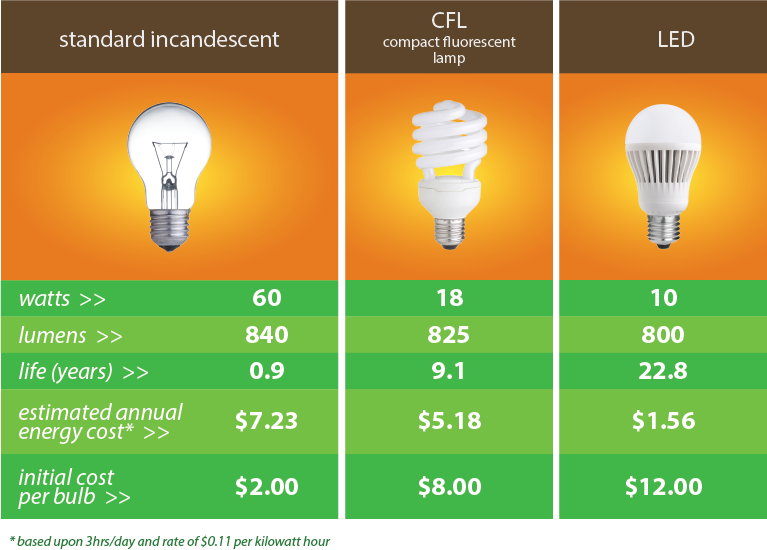 Per the Department of Energy, the average home uses up 5% of their household budget on lighting. 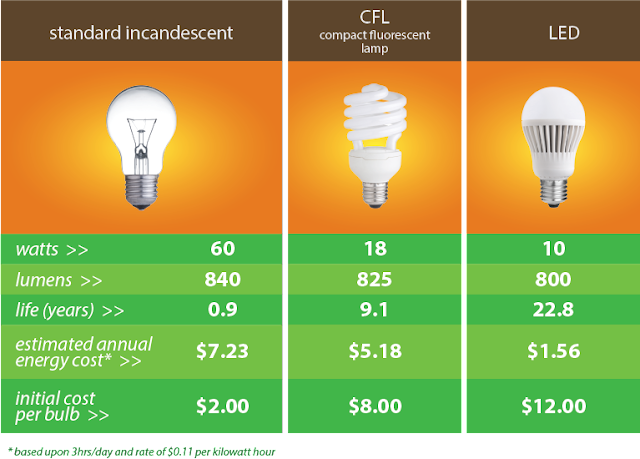 Changing out standard bulbs and replacing them with CFLs or LEDs can drastically reduce your electric consumption for the year. This is good news for your wallet and great news for the environment. The initial cost is quite a bit higher, but the reduction more than pays for itself in short order. If you don't have the funds to replace all of them replace the most common lights and then replace the rest over time. You'll still see a change in your bill. When heat escapes it takes longer to maintain a temperature and thus your end up using more energy than you need to. By wrapping pipes and sealing your heating ducts you're not only protecting your plumbing from the elements, but you're also keeping air and water at the desired temperature longer. This is a low-cost DIY project you can do in a single afternoon. If you are like most everyone on the planet, you've probably left the air conditioning running while you were away or forgot to lower the heat before you went to bed. 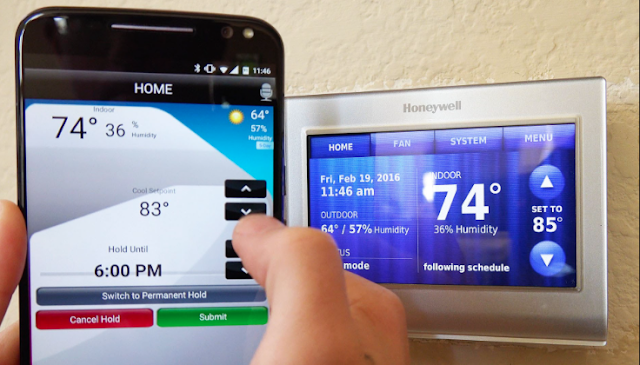 With the new smart thermostat devices on the market, you don't have to worry. You simply program it to your preferred temperatures for each day of the week and add in the temperature to lower it to at night. Most of these devices give you access to a downloadable app that connects you to your home's temperature and some even have the ability to alert you if the temperature drops or increases from your set temps. You can lower the heat while everyone's at work and school and then use the app to raise it again and hour before the first member arrives home. The savings over the score of a month is big and over the course of a year tremendous. Plus you're not giving up anything, well except for the large gas or electric bill.